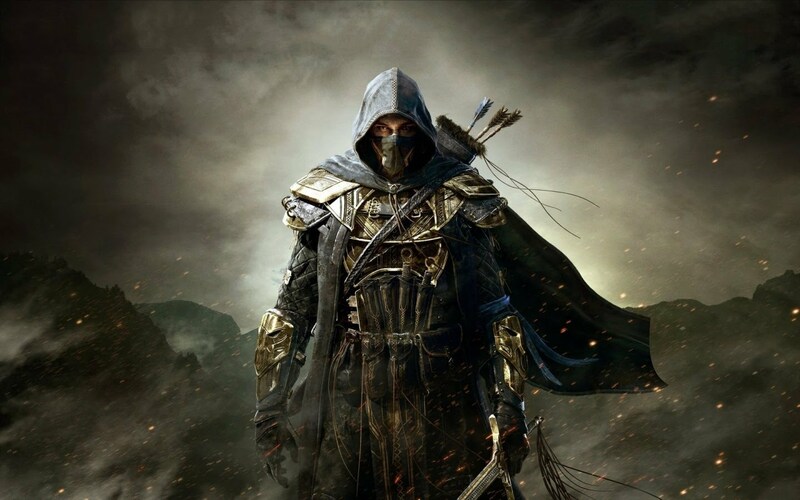 Not Quite Stealing The Show – Thief | Print, Play... Participate! 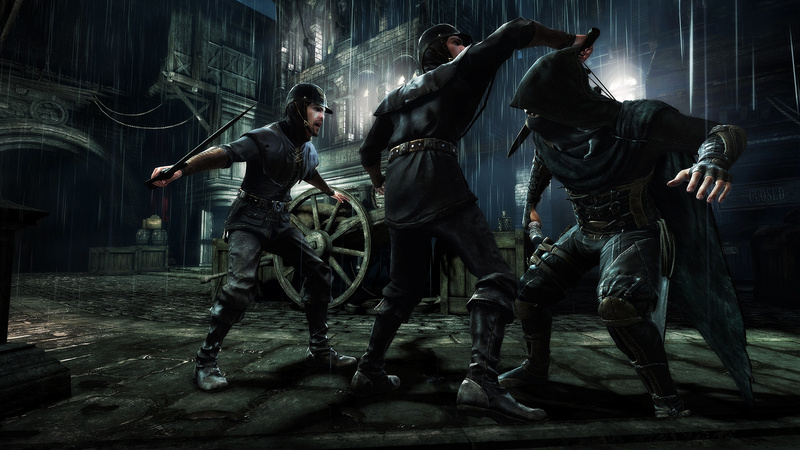 Let’s start by saying Thief on the Xbox one looks great, even if it is ‘only’ at 900p. Sure, it has the odd issue with texture pop-in and the occasional jagged line, but that stuff happens. Even on PC, if you try to get the best out of your hardware, issues can happen. So if some of us, (I’m looking at you Sony fan-boys) could stop banging on about 1080p being the be all and end all of resolution for games, maybe we could just appreciate them for what they are. Gamers should show support to all games, on any format. Because the better they all do, the further forward our chosen form of media will be pushed. So, that ok guys? Can we all get along now? Good. Kiss and make up and let’s get down to it. So I know it goes without saying but just in case some of you are a bit, well, stupid (this is the internet). Spoiler alert. I will be mentioning parts of the main story you may want to find out for yourself. If so, go play the game then come on back, see if we agree. Or not, it’s your opinion so you’re entitled to it, even if it’s wrong. Now, the way Edios Montreal attempts to instil immersion in this new episode of the franchise is with realism. The City – that’s not me forgetting its name that’s what it’s called, is set in a mostly realistic Victorian era with dark, dank, smog filled streets and a good amount of gothic architecture scattered amongst wood and brickwork homes. You’ll note some steampunk aesthetic too, but it’s so sparsely used and made to blend in that it’s all too easy to tell that the only reason it was used was to reinforce a story subplot about technology and the classes. I’d love to say more about this, sounds interesting right? Apparently the developers disagree, as it’s just ushered off to the side lines in favour of the main plot, which honestly feels the weaker of the two. Honestly, can we stop having supernatural craziness be the main plot in games that take themselves very seriously, such as Thief? The end this leads to is so depressingly underwhelming that it forces you to ask what the point in the whole thing was. Also, terrible boss fight, like really, don’t take all choice away in favour of a shadow dashing speed run around one big empty room. …blem. Loading screens are everywhere. It is easily the biggest immersion breaker in the game. Pop in I can live with, I can even deal with slightly buggy AI that gets stuck on the environment. Now I’m not saying it needed a fully preloaded open world, similar to Dead Rising 3 or Assassins Creed, though that certainly wouldn’t go amiss. What it could have used however is a touch more thought. For example, when I’m heading to a checkpoint and you give me a glowing orb to know where my exit to the next area is, that’s all well and good. But when I get to it you don’t need to ask me if I definitely want to go to that area. There are no other parts of the world to interact with nearby, so yes, I want to go there. Where you do need to ask me, is every window or crawl space or locked door that has no indication it takes me out of this area. Especially when some places I can go just to get my thief on, so it becomes a guessing game between loading screen or continuous environment. All this does is force me into not wanting to explore, as I may end up somewhere I don’t want to be only to have to immediately go back through another loading screen. 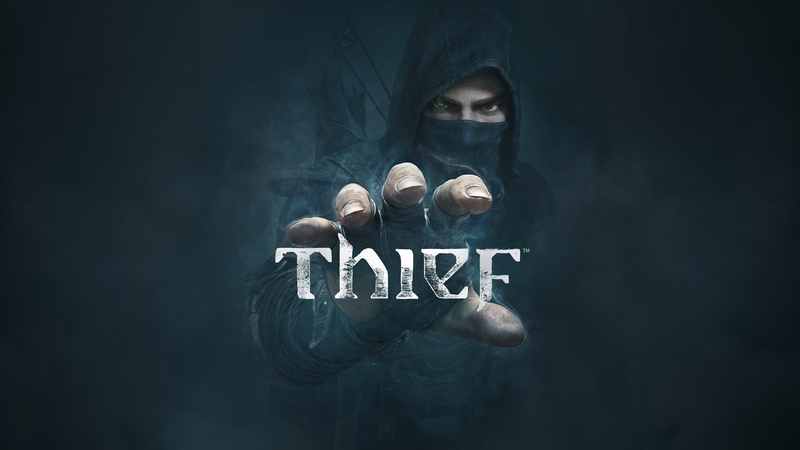 In summary, I can’t help but leave Thief disappointed. It’s obvious it has potential from the times that it shines, but it has missed the mark in too many places for me to want to revisit the world. It gives the impression that rather than focus on the stronger points of the story with the classes and how focus on technology was changing The City, the writers were going to stick with the supernatural theme no matter what. This, paired with the feel that the developers wanted this to look great, rather than removing things like loading screens just makes the player feel like this isn’t a game that has been made for them. If you think you can get past the sub-standard story and all the loading screens, you’ve got a pretty good stealth simulator on your hands. Just be prepared for a lot of back-tracking or trial and error to find out where you actually need to go to satiate your thieving needs. As for me, looks like I’m still waiting for a great stealth game, maybe Watch Dogs will hit the mark.